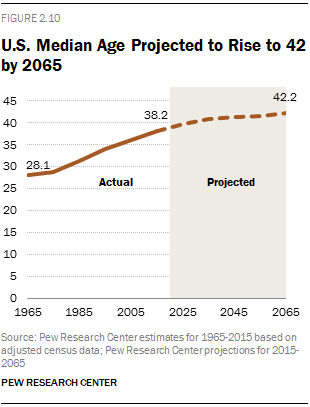 Are a large percentage of older consumers a drag on the economy? Or are the people who say that just dumbbells? Here at ROI, we pay particular attention to economic news coming out of Japan, because that country is sort of the canary in the aging-population coal mine. So, it’s somewhat heartening to read that Japan recently posted its sixth consecutive quarter of economic growth. The results of the most recently available quarter correspond to an impressive annualized growth rate of 4%. According to the CIA Factbook, Japan’s population has the second-highest median age, at 46.9, of any country. Only Monaco’s is higher, and Monaco’s population is heavily skewed because it’s a retirement haven. Germany has nearly the same median age, but Japan has a much higher percentage of senior citizens: According to WorldAtlas.com, 26.3% of Japan’s population is over 65. It may not be as bad as all that. 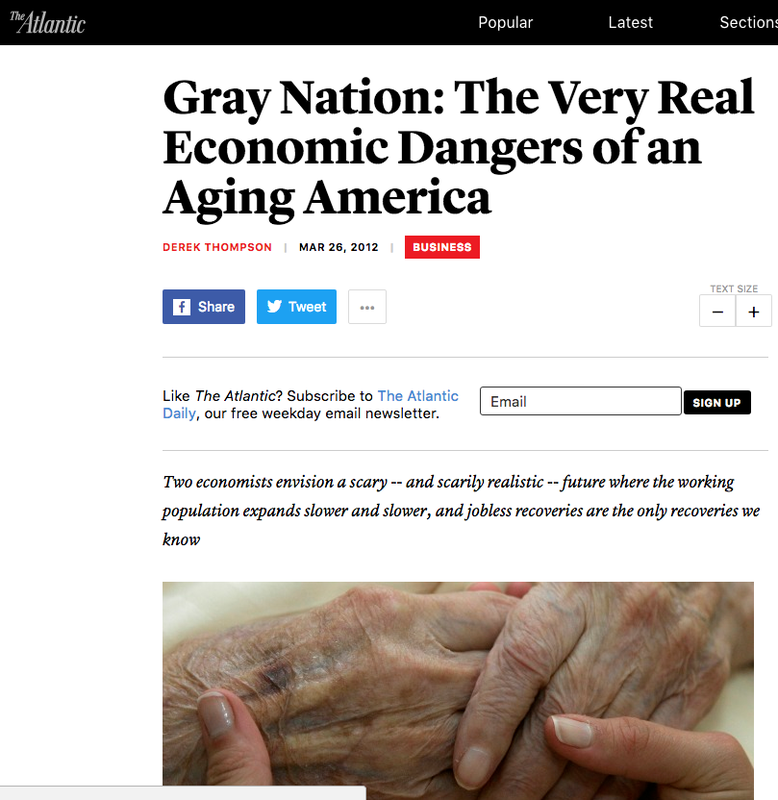 But we have to wonder whether the idea that aging consumers are inherently a drag on the economy is a product of ageism, or a cause of it? We regularly encounter cassandras decrying the impact of aging consumers on the U.S. (and Canadian, and European) economies. But Japan’s aged population has apparently not doomed it to permanent recession. According to Bloomberg and the New York Times, Japan’s recent growth was driven by increased domestic spending, and matched by a significant increase in business investment. That’s good news. Japan’s economic managers would now like to see an uptick in inflation, hopefully caused by increased wages. Japan’s economy’s improvement probably should be credited to a large public spending program, and the country’s very large public debt probably should not be glossed over. That’s another reason Japan would benefit from increased inflation – as inflation effectively lowers the interest rate on sovereign debt.